Construction employment totaled 7,150,000 in March, a dip of 15,000 for the month but an increase of 228,000, or 3.3 percent, over 12 months. Construction employment increased by 228,000 jobs over the past year despite a weather-related dip in March, and the industry's unemployment rate fell to 7.4 percent, the lowest yet for March, according to an analysis of new government data by the Associated General Contractors of America. Association officials called for revitalizing and adequately funding career and technical education and training programs to ensure that employment in the high-paying industry would continue to grow. Construction employment totaled 7,150,000 in March, a dip of 15,000 for the month but an increase of 228,000, or 3.3 percent, over 12 months. The economist pointed out that the year-over-year growth rate in industry jobs was more than double the 1.5 percent rise in total nonfarm payroll employment. The unemployment rate in construction dropped from 8.4 percent a year earlier to 7.4 percent last month — the lowest March rate since the series began in 2000. The number of unemployed job seekers with recent construction experience declined to 696,000 in March 2018, which was the lowest total for March since 2001, Simonson said. Residential construction — comprising residential building and specialty trade contractors — shrank by 7,000 jobs in March but added 114,200 jobs, or 4.3 percent, over the past 12 months. 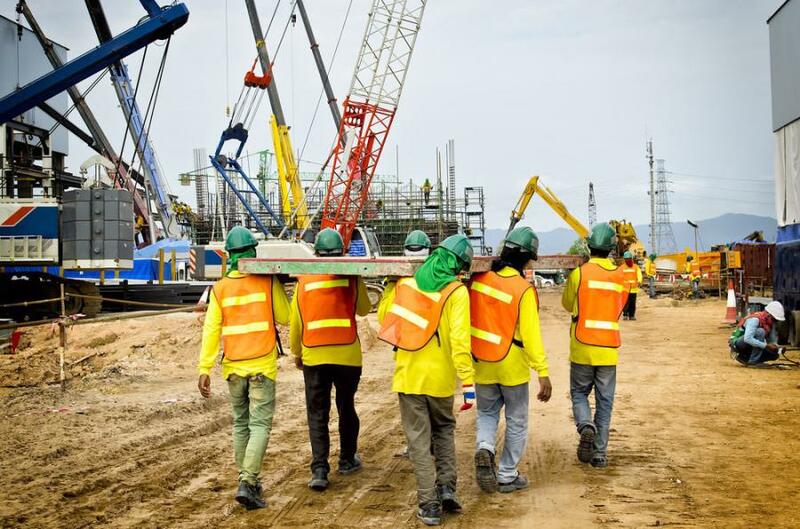 Nonresidential construction (building, specialty trades, and heavy and civil engineering construction) employment also increased by 114,200, or 2.7 percent, over 12 months, despite a drop of 8,200 jobs in March.